Another month has come and gone and what a month it was – holy cow! I feel like so much happened in June and I guess that’s because so much did happen; I mean, I moved from one state to the other and I suppose that in and of itself is a lot of going ons, you know? I somehow managed to find time before and after the move to do other thing too…so that’s what this is all about. World War Z by Max Brooks – I have had this book on my tablet since last summer and just always got distracted from reading it…until now. 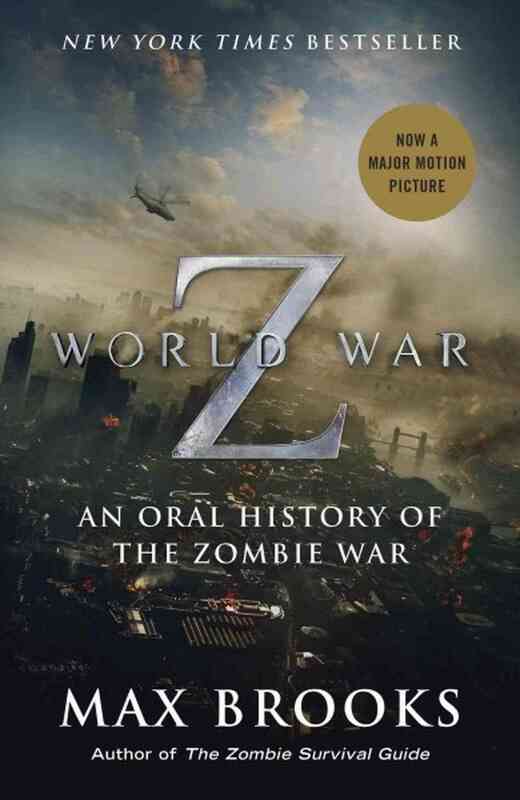 This book plays out like someone has written a history of what happened in the Zombie War and how the events unfolded, from the start with the Great Panic to the conclusion of the War against the Undead. The book has “interviews” with people who experienced the events firsthand: military, world leaders, a chemist selling a “cure” on the Black Market. The book was interesting and definitely something different. I haven’t seen the movie…but I feel like it’s VERY different from the book…. 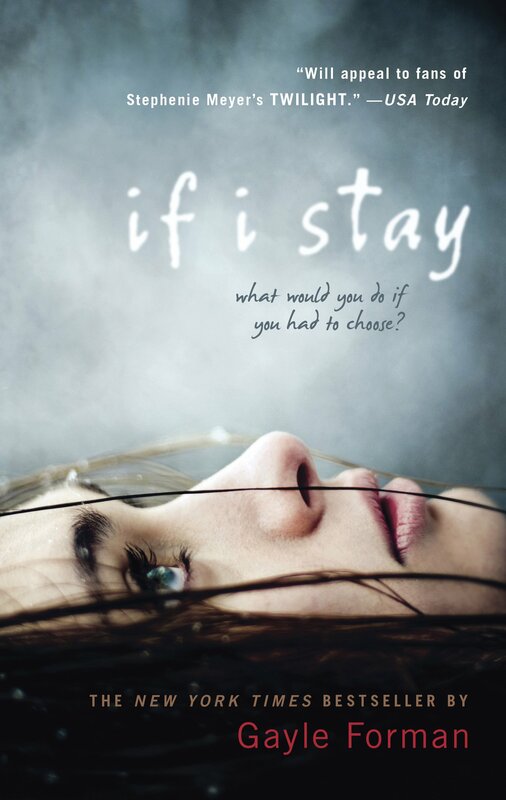 If I Stay by Gayle Forman – I saw a preview for this and when I saw that it said it was based on the best-selling novel, I knew that I needed to read this! It was on sale on the Google Play store for just $5.65 and so I couldn’t beat that deal…and so it’s waiting on my tablet to be read! The story follows a young girl named Mia who; following a tragic car accident, must decide whether she wants to come back and live a life far more difficult than she anticipated or let go and die. I’ve got to get this read before the movie comes out! If the preview is any indication…this will be a great book! 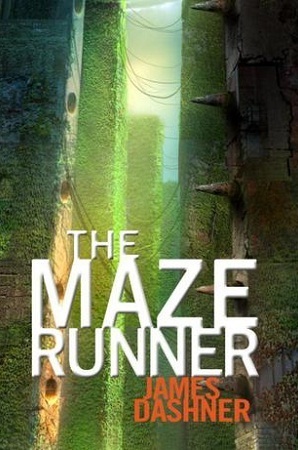 The Maze Runner by James Dashner – A book that was first recommended to me by my young co-worker, Rachel because I mentioned I liked The Hunger Games! I also saw a preview for this and it reminded me about it, so I decided I’d better get to reading this too! The story follows a boy named Thomas who is delivered to a community called The Glade – a walled in, self-sufficient town of young boys who must try to escape through the maze outside their community without getting attacked by the monsters that populate the maze. A day after Thomas arrives, a girl…the first girl ever, arrives and things begin to change. This book also has two books that follow it, so I’m sure if I read this one…I’ll end up needing to read those, ha-ha! I have a feeling this is right up my alley! 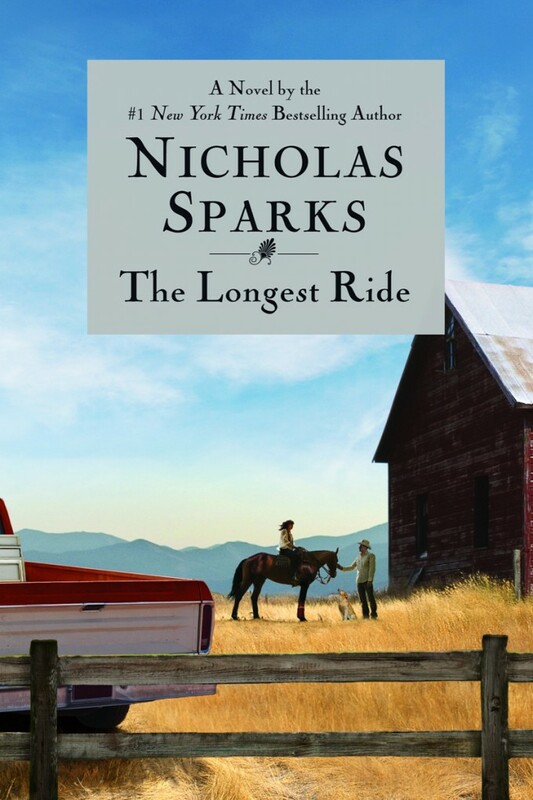 The Longest Ride by Nicholas Sparks – I’ve read every book Mr. Sparks has ever written and this one came out last year…and I still haven’t read it! It’s just been hanging out on my tablet for almost a year now and so I really need to get to reading! The story bounces between a widower and a teenage girl, whose lives become entwined after a car crash. I certainly hope this book doesn’t make me cry and cry like some of Spark’s other books have! Why do I feel like this will make me cry?? Game of Thrones – Well, with a heavy heart I must report that season four of quite possibly one of my most favorite shows has ended. The final episodes in June covered quite a bit of ground: Sansa finally proved she plans to play the game with her wits and good looks; her scheming is subtle in comparison to her sister Arya’s iron-fisted attacks. Jon and the brothers of the Night’s Watch defended the Wall from the Wildling attack we’ve all been waiting for since the start of season three and received help from the most unlikely of places…(hello there Stannis and Melisandre!) while Brienne and the Hound had a most unlikely encounter that ended in what was easily the best fight of the season. The Lannister siblings seemed to bond (in one way or another) but certainly not with Daddy Lannister, who Tyrion conveniently killed off while he took a bathroom break! Honestly, just the finale was jam-packed but since I re-capped all ten episodes, I’ll just say that season four was (mostly – I’m looking at you episode three) excellent! 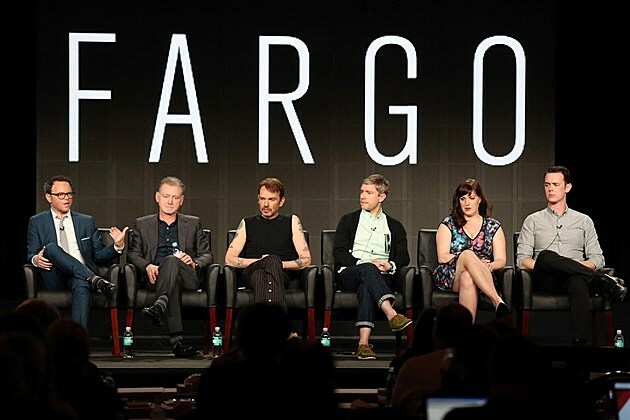 Fargo – Another show that wrapped up this month as well, it ended with…well, multiple bangs. Molly finally caught her man, with unexpected help from her husband Gus and everyone got what was coming to them; granted by the time the show ended, a lot of people got what they didn’t deserve, bless their hearts. This show was quirky, a bit dark and also hilariously funny at times. I really enjoyed it while it last and I think I need to go find the movie Fargo and check that out! Plus, it gave me my Martin Freeman fix until Sherlock comes back…which probably won’t be until late 2015/early 2016. Blegh. Such a good show – with a great end! True Blood – I don’t have much to say on True Blood at this point…only two episodes have aired so far and I’ve enjoyed them…I have discovered I find myself less interested in the plot when Eric or Bill aren’t involved. I guess I’m a fan of the vampire contingency on True Blood; they make it more interesting to me. This is the final season of True Blood, so only eight more episodes before this one bows out for good. I can’t wait to see how the rest of the season unfolds. I’m going to need more Eric though…. So long Bon Temps residents…it’s been fun! I Hate My Yard – My Mom has gotten me hooked on this! Although I do love HGTV and to a certain degree, the DIY network as well…I don’t normally like yard related shows, but I do love this one. Sara Bendrick takes dilapidated, horribly crappy yards and turns them into scenes out of a magazine. Seriously, if I had a back yard that looked like some of these, I’d just live in the back yard. Perhaps one day I can get a crappy backyard and have her come fix it? The Fault in our Stars – Oh my goodness, this movie was wonderful and heart-breaking at the same time. I knew what I was getting into when I went to see it, but man…tears. 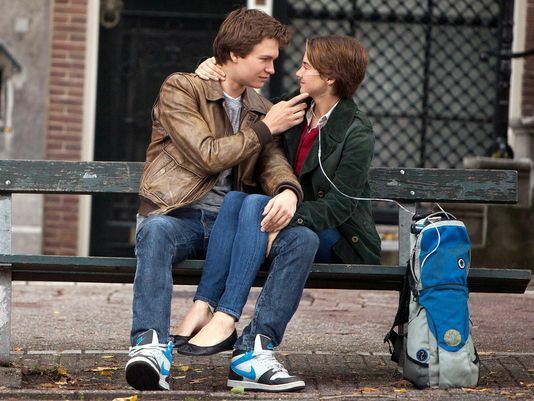 Ansel Elgort and Shailene Woodley really brought Augustus and Hazel to life perfectly and pulled all the heart strings. If you haven’t read the book, I won’t give anything away but I will say that this movie was great, even if it did break my heart a little bit. If this movie didn’t make you cry, you don’t have a soul…. X Men: Days of Future Past – Another great movie, although great in a completely different way from the one listed above…and also very, very mind-bendy. I won’t get too in depth with this but suffice it to say, there are two Professor X and two Magnetos and you start in present day and go back in time but you’re also in present day…and can stopping one event from happening cause a ripple that will change the present for good? Ooh wee, yes…it bent the mind a little bit. That’s okay, Michael Fassbender and James McAvoy are both very easy to look at and this movie also had Jennifer Lawrence, Nicholas Hoult and Peter Dinklage! Yes! I thoroughly enjoyed this! There are just so many of them…. Maleficent – Oh my, I thoroughly enjoyed this movie! Sleeping Beauty has always been my #2 Disney movie (Beauty and the Beast being #1) and Maleficent has always been my favorite Disney villain, because let’s just be awesome…she’s spectacular! Those horns! That voice! The way she laughs…I love it all, so I was intrigued to see how Disney would spin this tale about her to make her less villainous and it was brilliant. I’m not a huge Angelina Jolie fan but this role was made for her and the story the movie told was excellent; especially the twist at the end! Go check this out while you still can! Pompeii Soundtrack – I think by now I’ve made it fairly obvious that I really like instrumental music. I also really loved the movie Pompeii, so I decided I’d get the soundtrack to it as well and I’ve loved listening to it this past month. Battleships by Daughtry – A song that I was pointed in the direction of by my friend David, I liked this song from the first listen and I may or may not have listened to it multiple times on the long drive from MS to VA a couple weeks ago. Somehow I seem to forget about Daughtry and how much I like his music, but then I find a new song of his and I remember all the other songs that I love! Italian Chicken, Potatoes and Green Beans – Delicious and so easy! Chicken breasts in the middle, red potatoes on one side, green beans on the other side. Pour some melted butter on top and sprinkle with a packet of Italian seasoning and you’re good to go! Cook for 50 minutes in the oven and then eat it all up! Watson begged for this – & for good reason! Zucchini Bread – Okay, I didn’t make this but we stopped at a Farmer’s Market store and when I tasted the sample, it melted in my mouth. Absolutely delicious! So delicious that I am planning to make some zucchini bread of my very own tonight. Cupcake and Macaroon Tour in Georgetown – My Mom and I are going on this little tour on the 5th and I am pretty darn thrilled about it. I love cupcakes…but I also love some macaroons as well. I also thoroughly enjoy a visit to Georgetown because that place is just delightful! Disney World – HELLO!!! It’s Disney World! I don’t think I need to say any more than that. But I will…because we are staying at the Wilderness Lodge, which is basically a dream come true and it is going to be absolutely wonderful. Plus, as previously mentioned…it’s freaking Disney World! What’s not to love??? Yes please – only 18 days to go! 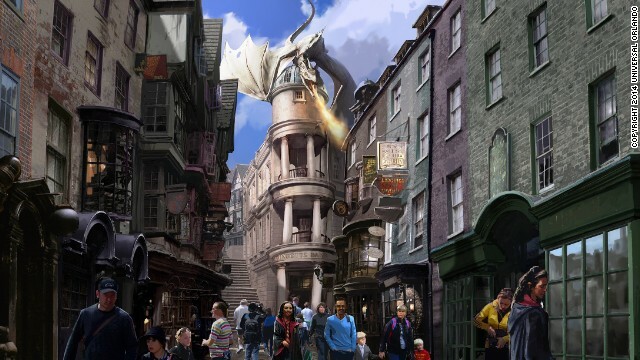 The Wizarding World of Harry Potter – Oh yeah, did I mention that we are also making a quick stop at this place??? I mean, my head may explode from the excitement…because it’s basically like being sat down in the middle of a Harry Potter book and friends, there is nothing but awesome involved in that scenario. Yes!! The dragon really shoots fire you guys…really shoots fire. Lindsey is back in VA – Even if it’s only for a week or so, that’s fine. Because any time spent with my lovely little sister is wonderful time indeed. Well – that’s June in a nutshell! I can’t believe half of 2014 is already gone; it’s mind-boggling. It’s also a little mind-boggling to me that I’m writing this post from my new home in Virginia. A move I’ve been waiting for, for what seems like forever and finally came true. And now I get to spend the last half of 2014 learning about my new home, making new friends, find new favorites and settling in to the great state of Virginia!